We have been asked to announce the death of Brian Cubbon, aged 85 years, of Berkeley Street, Douglas. He passed away on Friday 29th September 2017. He leaves wife Irene, sons Mark, Ian and Alan, daughters Nicola and Sara and families. The funeral service and cremation will be held at 2pm on Thursday 12th October 2017 at St Thomas Church, Douglas followed by a cremation. We have been asked to announce the death of Peter Walker, of Harbour Road in Onchan. He passed away on Thursday 28th September 2017 at Hospice Isle of Man. He leaves wife Elaine, daughter Debra and son David and families. The funeral service and cremation will be held at 10.45am on Thursday 5th October 2017 at Douglas Borough Crematorium. We have been asked to announce the death of Bernard Shimmin, aged 96 years, of Saddle Mews, Douglas. He passed away on Sunday 24th September 2017. He leaves wife Claire and sons Graham and Michael. The funeral service and cremation will be held at 1.15pm on Wednesday 4th October 2017 at Douglas Borough Crematorium. Nominated Charity is Friends of the Hyperbaric Chamber. We have been asked to announce the death of Ethel May Kelly of Onchan. She passed away on Sunday 24th September 2017 at her home. Loving wife to Michael, much loved mum to Michael, Barbara, June, Shirley, Kevin and Jane. Sister, Nana, Great Grandmother and Mother in Law. The funeral service will be held at 11.00am on Saturday 30th September at Salvation Army Citadel. Nominated Charity is The Salvation Army. We have been asked to announce the death of Dr Adrian Charles Pilling, aged 68 years, of Selbourne Drive, Douglas. He passed away on Saturday 16th September 2017. He leaves wife Belinda. Father of Alex and Susie, stepfather of Sarah and Alastair, brother in law of Susan and a proud grandfather. The funeral service will be held at 2pm on Friday 22nd September at Douglas Borough Crematorium. We have been asked to announce the death of Dennis Edwin Cross, aged 87 years, formerly of Station Park, Colby. He passed away on Friday 15th September 2017 at Nobles Hospital. 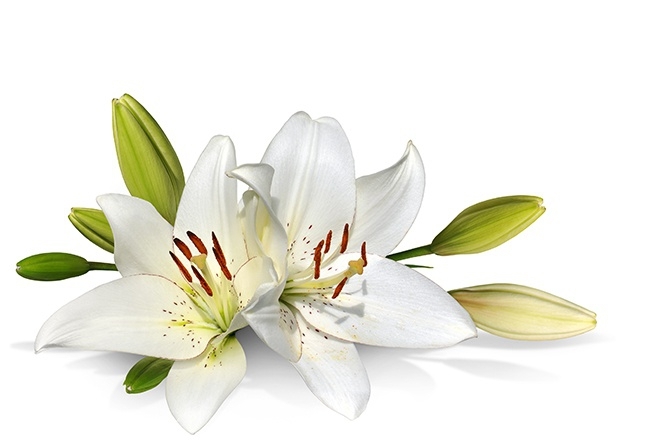 The service of reception will be held at 7pm on Thursday 28th September for Requiem Mass at 11am Friday 29th at St Columba R. C. Church, Port Erin. Followed by interment at Rushen Churchyard. Family flowers only please. For further information regarding donations in lieu of flowers please contact Cringle & Co Ltd Southern Funeral Service on 833602 or 824134 . We have been asked to announce the death of Pauline Lynne Budd, aged 48 years, formerly of Peel. She passed away on Tuesday 12th September 2017 at Hospice Isle of Man. She leaves mother and father Beryl and Herbie, children Jade and Tyler, sisters Diane and Pamela and all families and friends. The funeral service will be held at St German’s Cathedral, Peel at 12.15am on Friday 22nd September followed by a private cremation. We have been asked to announce the death of John Phillip Green, aged 62 years, formerly of Ramsey. He passed away on Tuesday 12th September 2017. He leaves auntie Pam, and many friends. The funeral service will be held at the St Pauls Church, Ramsey at 11.00am on Wednesday 20th September 2017. Flowers welcome. For further information regarding donations in lieu of flowers please contact Corkhill & Callow on 813114. We have been asked to announce the death of Elsie Mildred Daugherty, aged 81 years, formerly of Peel. She passed away on Saturday 2nd September 2017 at Springfield Grange Nursing Home in Douglas. She leaves son David, granddaughters Jessica, Hayley and Jasmine and great grandson Aaron. Sadly missed by Natasha and all family and friends. The funeral service will be held at Grace Baptist Church, Peel at 12.00 noon on Monday 11th September 2017, followed by a burial service at Peel Cemetery. We have been asked to announce the death of Wilfred Charles Curphey, aged 95 years, formerly of Victoria Terrace, Douglas. He passed away on Saturday 2nd September 2017 at Nobles Hospital. He leaves wife Elaine, father of Dennis and Ken, father in law of Leslie and Joan, a dear granddad and great granddad, brother of Frank. The funeral service will be held at the Douglas Borough Crematorium at 1.15pm on Thursday 14th September 2017, followed by a cremation. Nominated charity is the Manx Blind Welfare Society. We have been asked to announce the death of Brenda Edmond (Nee Quilliam), aged 90 years. She passed away on Saturday 2nd September 2017 at Elder Grange Nursing Home. Beloved wife of the late Albert, and sister of the late Leonard. Dearly loved mother of Ruth and Sandra and sons-in-law Peter and Geoff; loving Granny and Great-granny; sister-in-law to Barbara and the late Tom and May. She will be sadly missed by all her family and friends. The Celebration of Brenda’s life will be held at Douglas Lawn Cemetery Chapel at 10.45 on Wednesday 13th September 2017, followed by a private cremation. Nominated charity is the Cathedral Restoration Fund. We have been asked to announce the death of Barry James Swift, aged 70 years, formerly of Maynrys, Castletown. He passed away suddenly in Liverpool on Friday 1st September 2017. He leaves wife Stephanie, son Roddy, Jamie and family. The funeral will be arranged at a later date. For further information on donations in lieu of flowers please contact Cringle & Co Ltd on 833602 / 824134. Nominated Charity is the British Heart Foundation or the MSPCA.